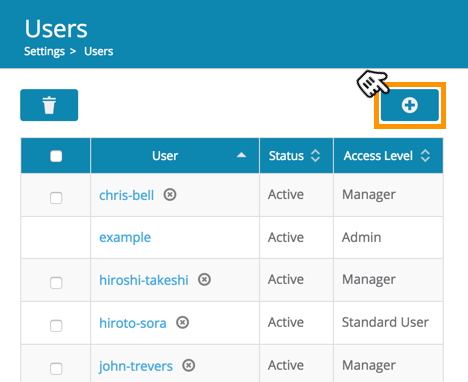 To create a new user, navigate to the Users page via the Settings menu in the upper-right part of the screen. Choose the account type for this user. This determines the access level given to this user. Options include Manager, Standard User, and Read-Only. Read more about user roles. 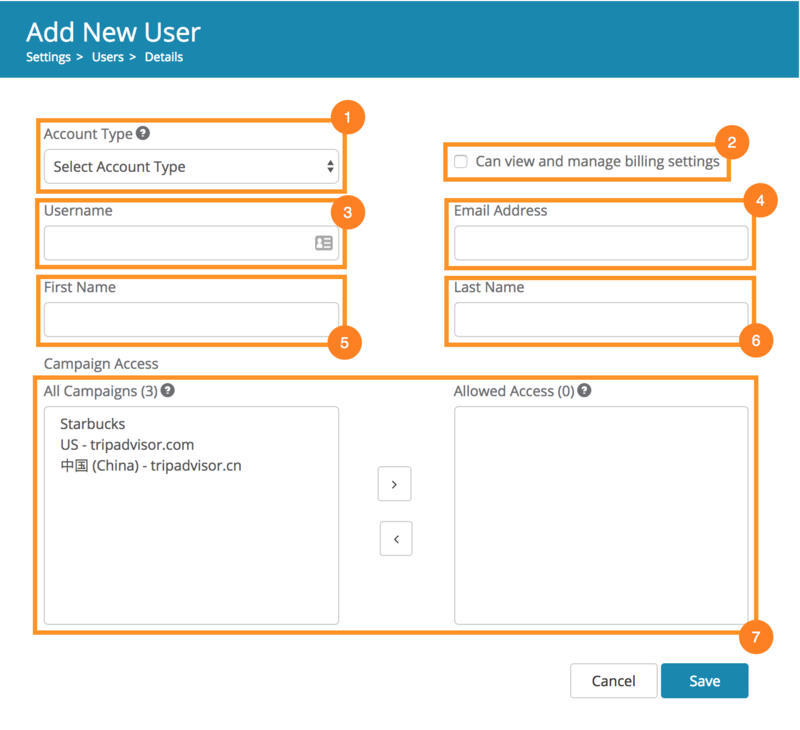 Choose whether the user is allowed to view the Account Details page, where potentially sensitive information such as billing and subscription info are displayed. When you are done filling in all necessary information, click Save to create this user. 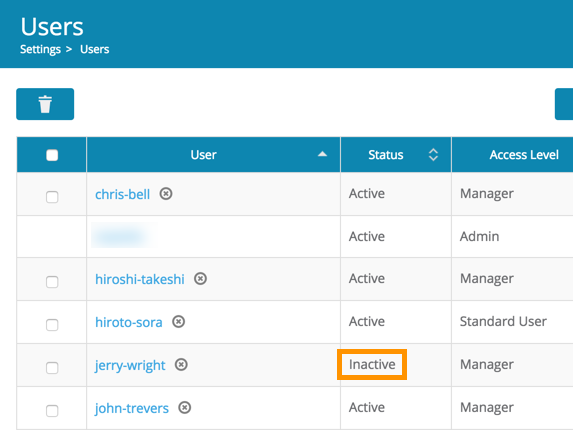 Until the user clicks the activation link and creates a password, the account will remain inactive. 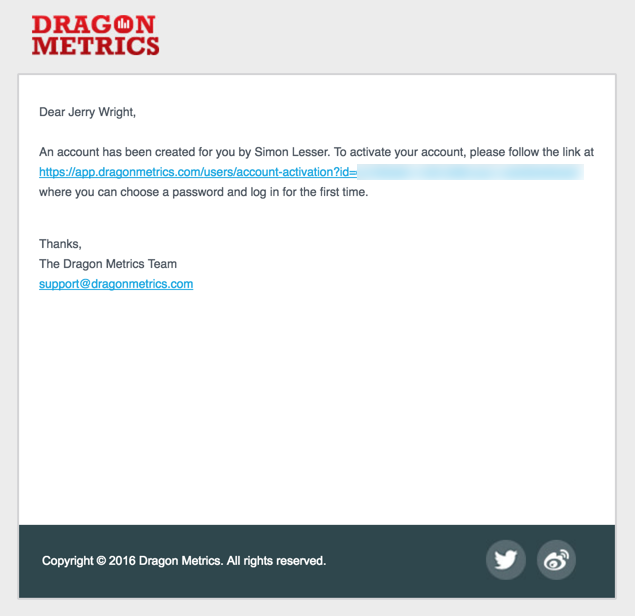 To resend the account activation email, click on the username in the table to go to the User Details page. If the user does still not receive the email, be sure to check the spam folder, and that the email address was entered correctly.